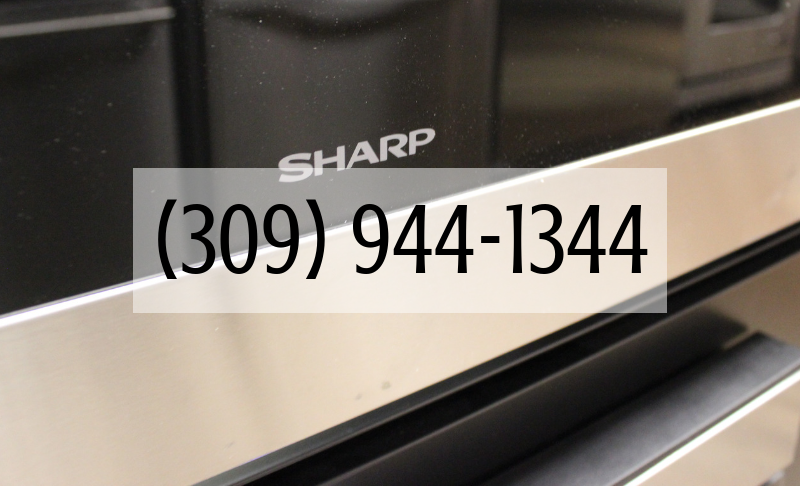 Sharp Appliances in The Quad Cities Area- Microwave Drawers, Pizza Ovens and More! 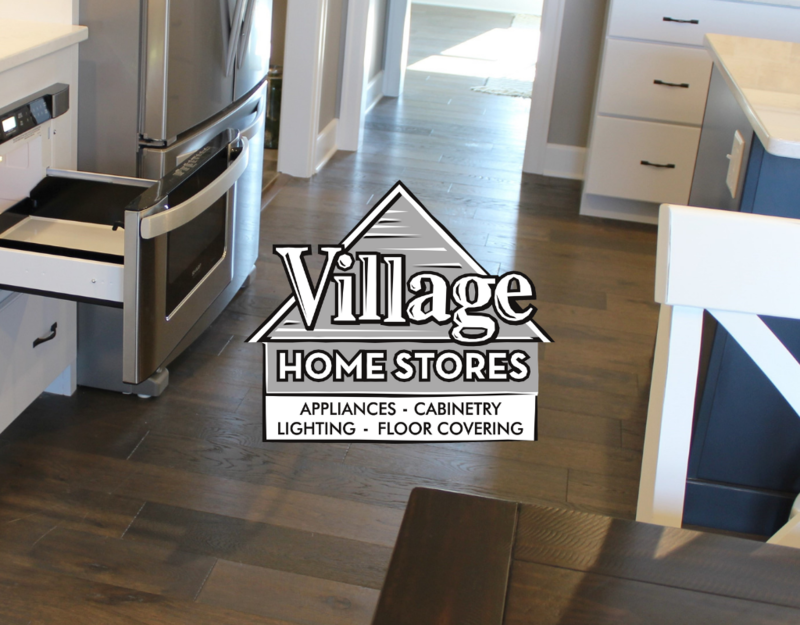 Village Home Stores has installed a number of Sharp appliances throughout the Quad Cities Area over the years. Sharp offers a variety of home appliances for our customers. Our most popular category of product from Sharp are their microwaves. Originally launched with limited options, now this category has broadened to even more models for our customers to choose from. 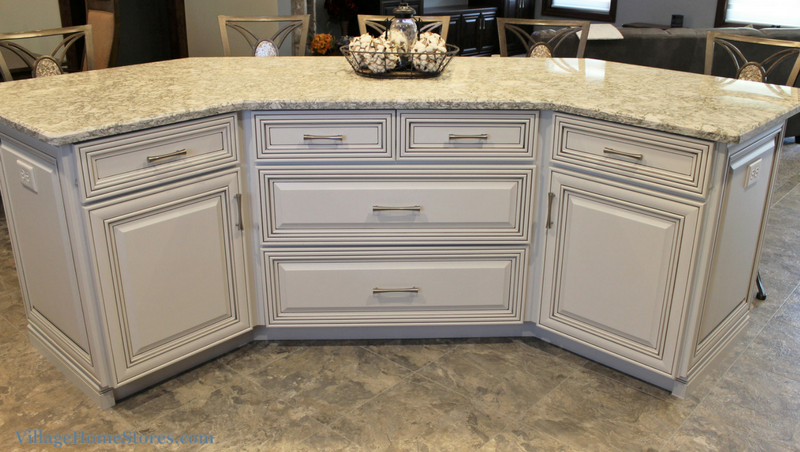 Now including multiple finish options, over-the-counter models, and many drawer models. One new microwave drawer is even available with a wave-controlled open feature (press play below to see). 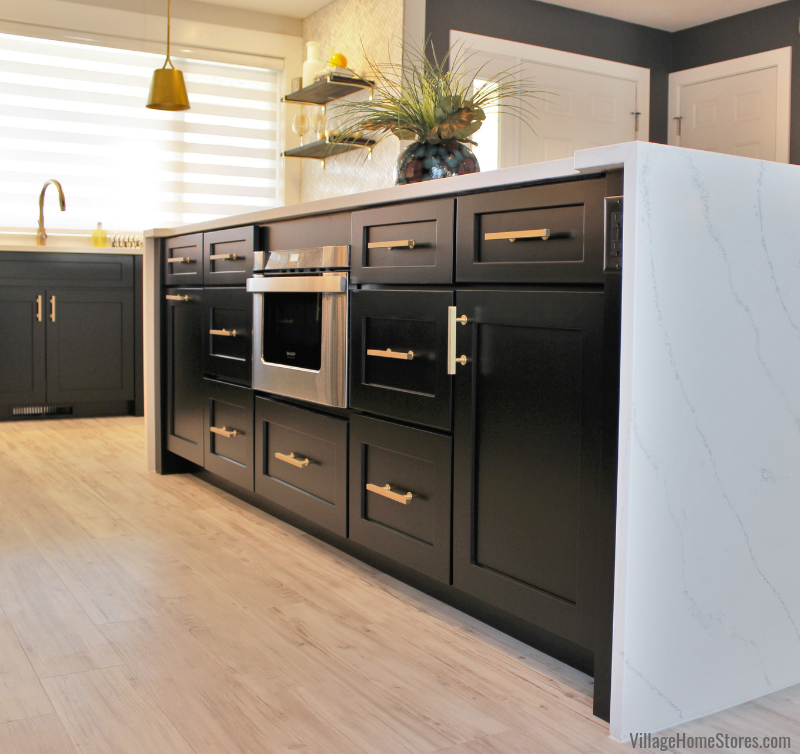 We wanted to take a moment to showcase some of the microwave options here on the blog so you can help to decide if one of these applications may work to help make your own kitchen design “Sharp”. 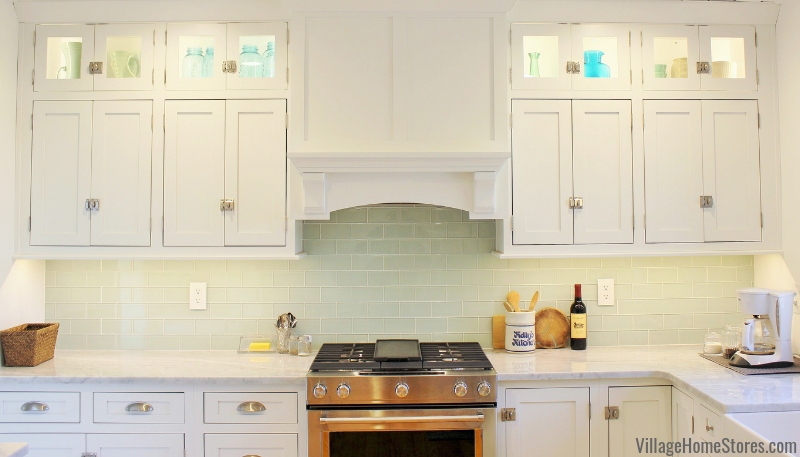 Microwave hoods are a great choice when needed because they clear up countertop space AND function as a ventilation source for the cooking area… but they are far from decorative. 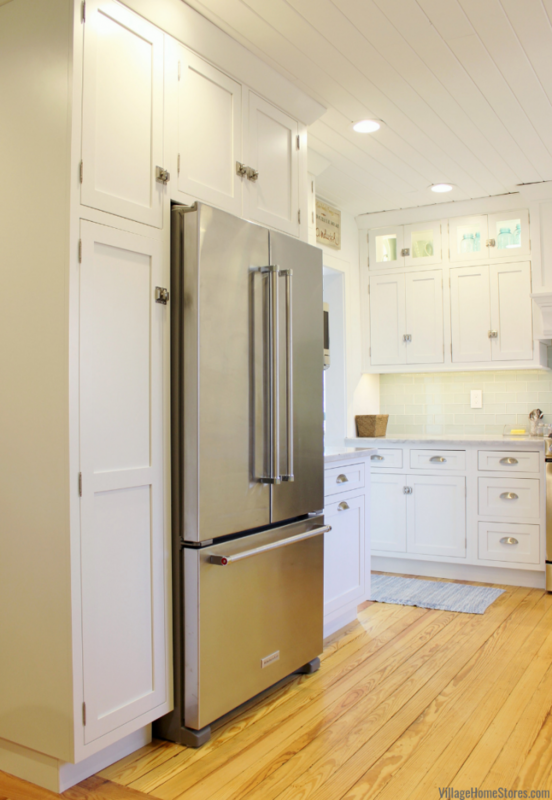 If you love the look of a decorative wood or metal hood for your kitchen design, you will need to install your microwave elsewhere. You have four categories for the location of your microwave other than as a microwave hood: countertop, built-in, drawer, and over-the-counter. Let’s explore those last two. 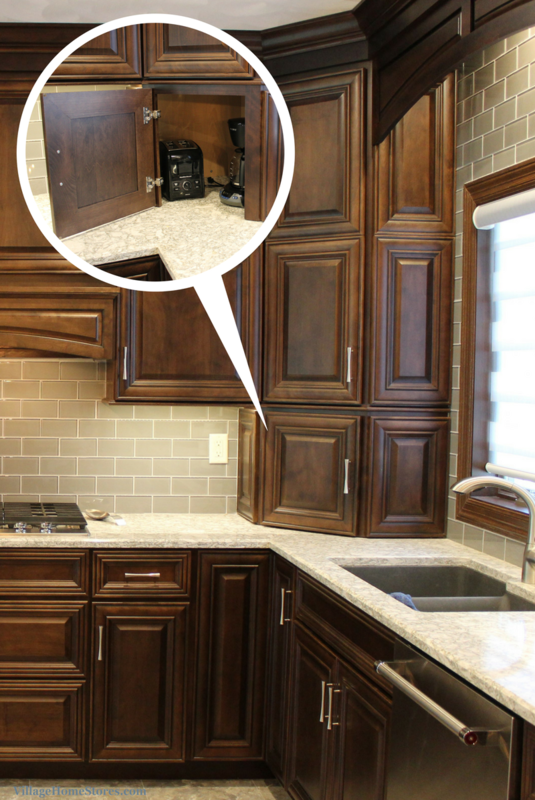 Sharp microwave drawer installed in a Bettendorf, Iowa home. 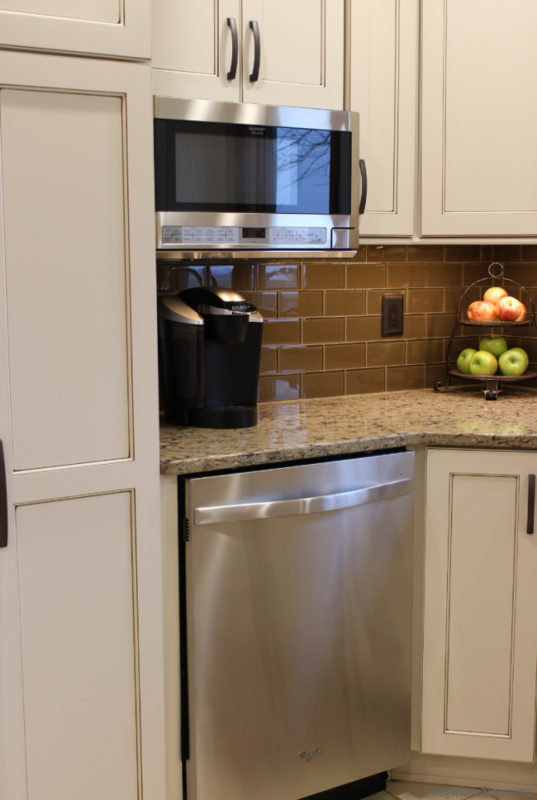 Microwave drawers are becoming a more and more popular in our kitchen designs for both our remodel and new home customers. These models are available in 24″ widths and some in 30″ widths. They install into a microwave base cabinet. 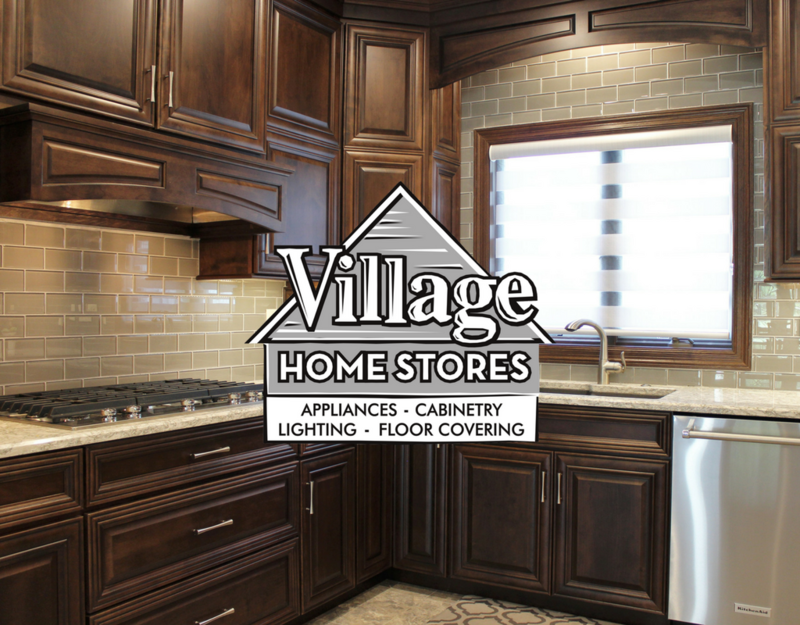 Your kitchen designer at Village Home Stores will work closely with your appliance salesperson here to make sure we have the correct space allowance for the microwave you have selected. Microwave drawer with handle installed in a Coal Valley, IL kitchen. Microwave drawers come in a variety of sizes and finishes (yes Black Stainless is available). 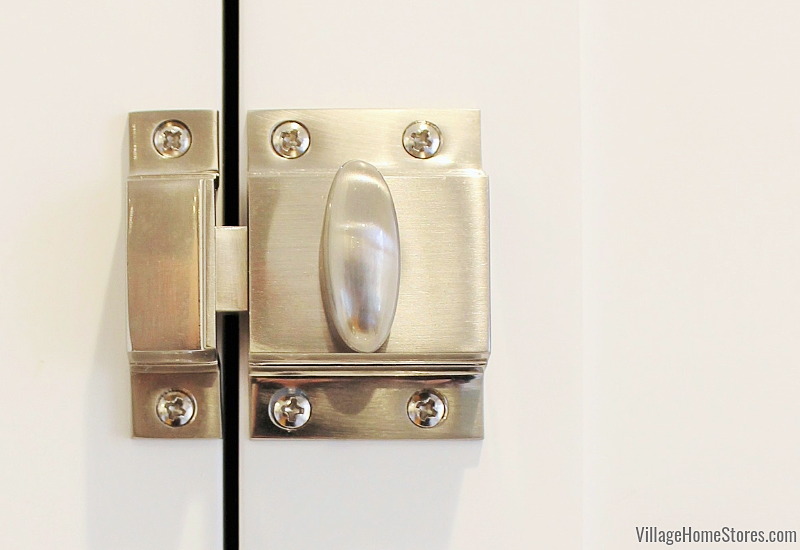 You also have a choice of an exposed handle model (see above) or a one with a hidden control. Either one can be included in a kitchen suite of appliances from other brands. 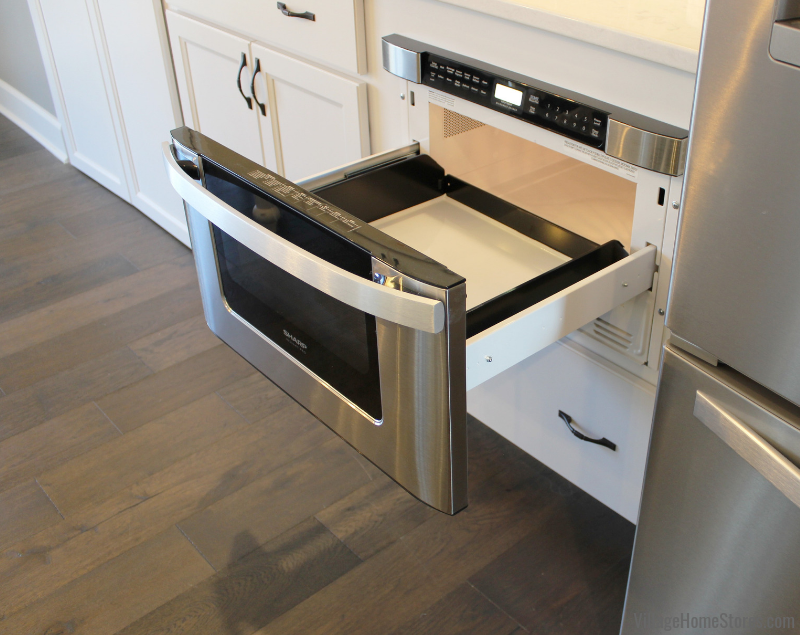 The hidden-control microwave drawers are very universal in style and pair well with other appliance brands because there is no handle exposed to match. 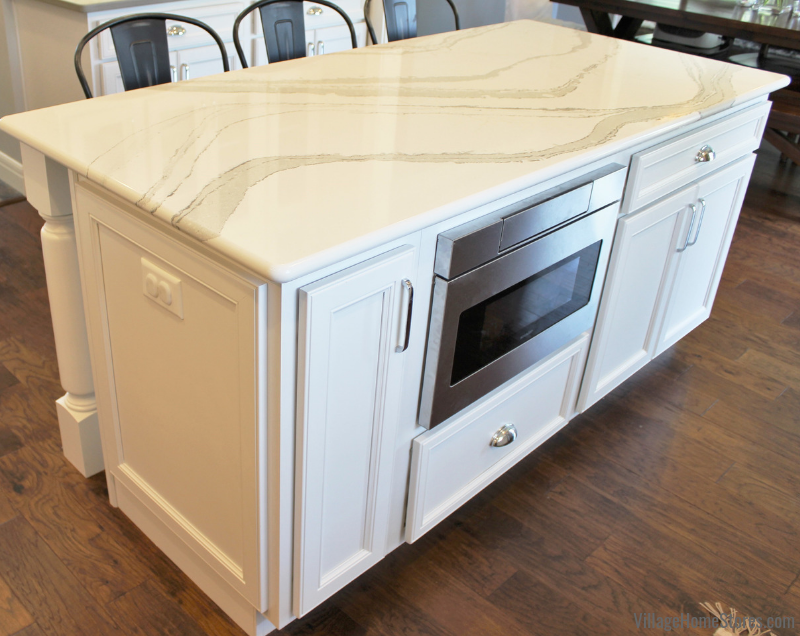 Check out the kitchen island below that includes one. 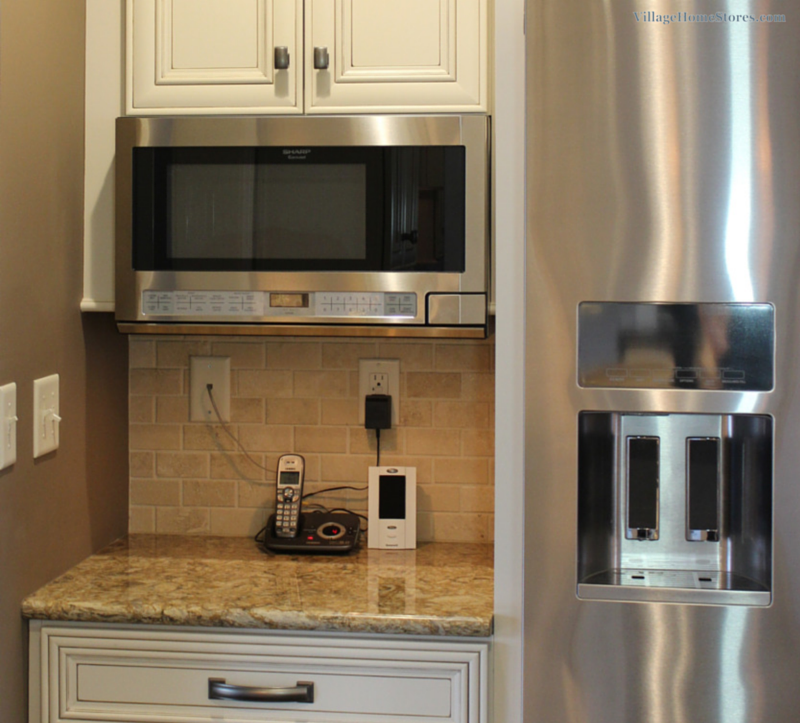 Microwave drawer with hidden controls installed in a Quad Cities Area kitchen island. 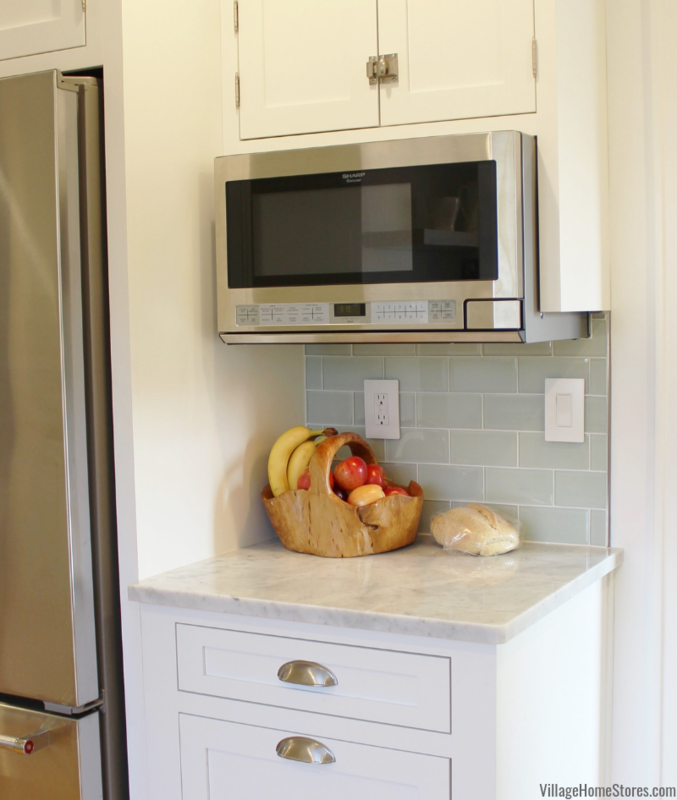 Installing a microwave drawer in a kitchen island is such a stylish and functional look. 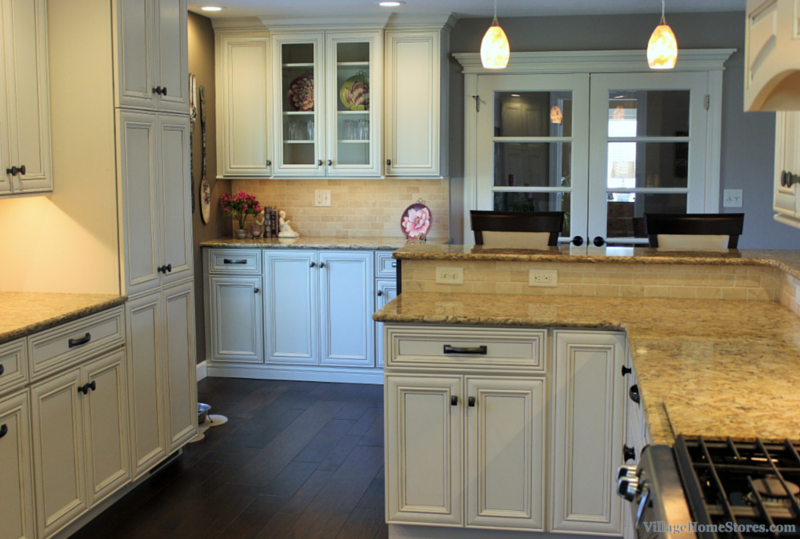 The location is always great for for prep and entertaining and they look wonderful installed into the cabinetry. But don’t just take our word for it, even some of the Real Housewives of New Jersey agree! Second thought, do take our word for it, we are far more friendly and we don’t yell nearly as much. 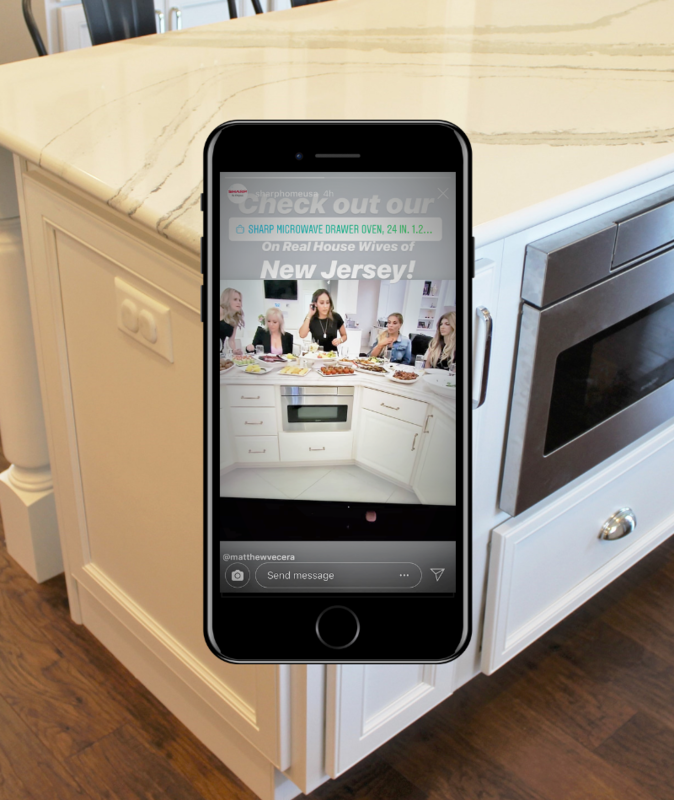 Sharp microwave drawer as seen in a Real Housewives kitchen (screenshot via @sharphomeusa Instagram). So why is a drawer more practical than a microwave hood or built-in model? There are a number of reasons but consider the loading and unloading as a start. It can be hard or unsafe for young children to reach a microwave hood. Our customers who are investing in kitchen designs to help them age-at-home also find a drawer to be a great selection. Sharp microwave drawer with handle in a Bettendorf, Iowa kitchen. 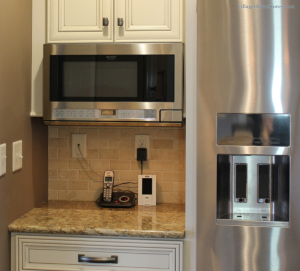 For those that desire a microwave in the upper section of a kitchen design, you can install an over-the-counter model. 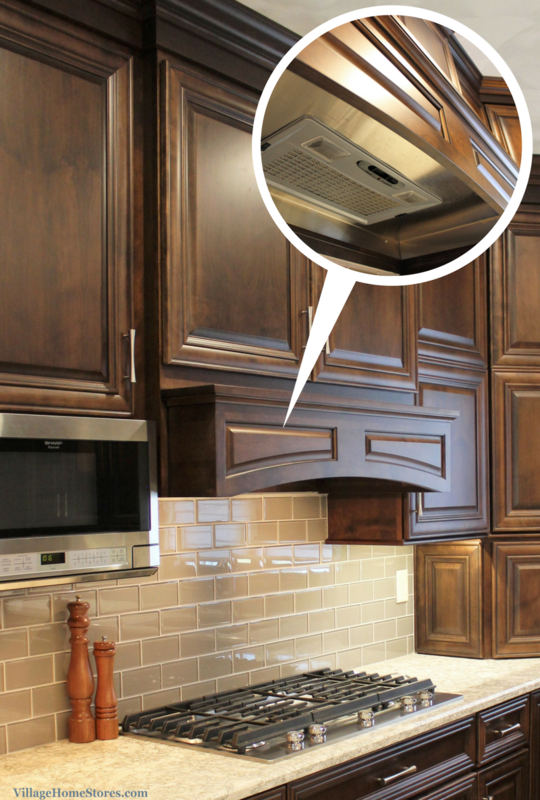 These models take the same look and capacity of an over-the-range microwave and remove ventilation features. 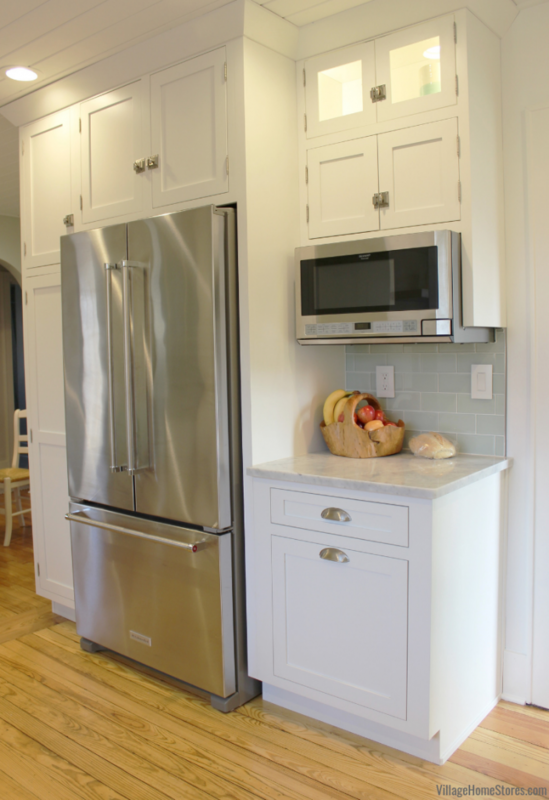 Over the counter models must be installed under a wall cabinet and our expert appliance staff can answer any questions you may have about outlet and location specifications. 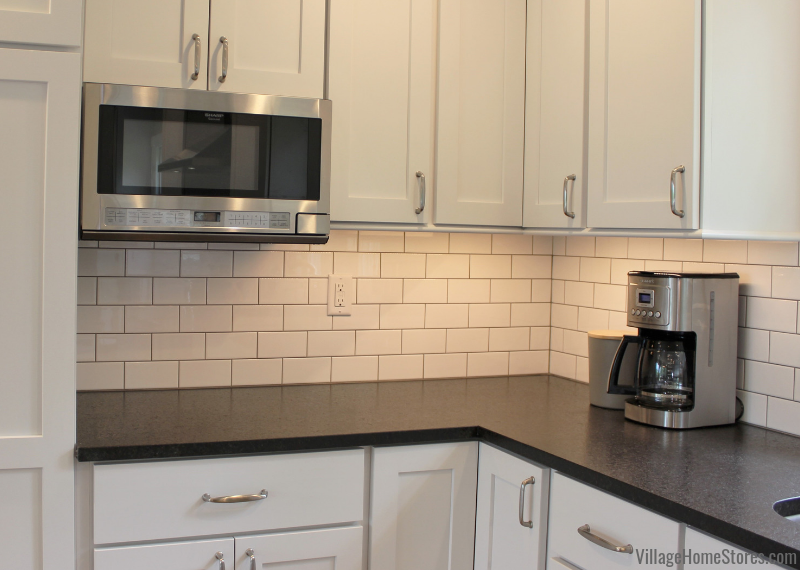 Sharp over the counter microwave installed in a Geneseo kitchen. 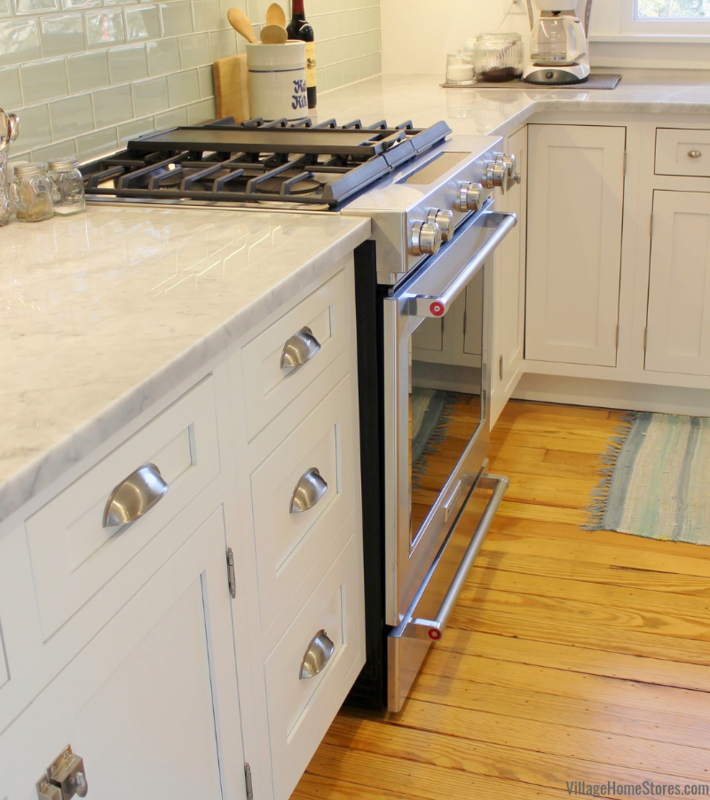 This application allows you to free up countertop surface without installing the unit above the cooktop surface. 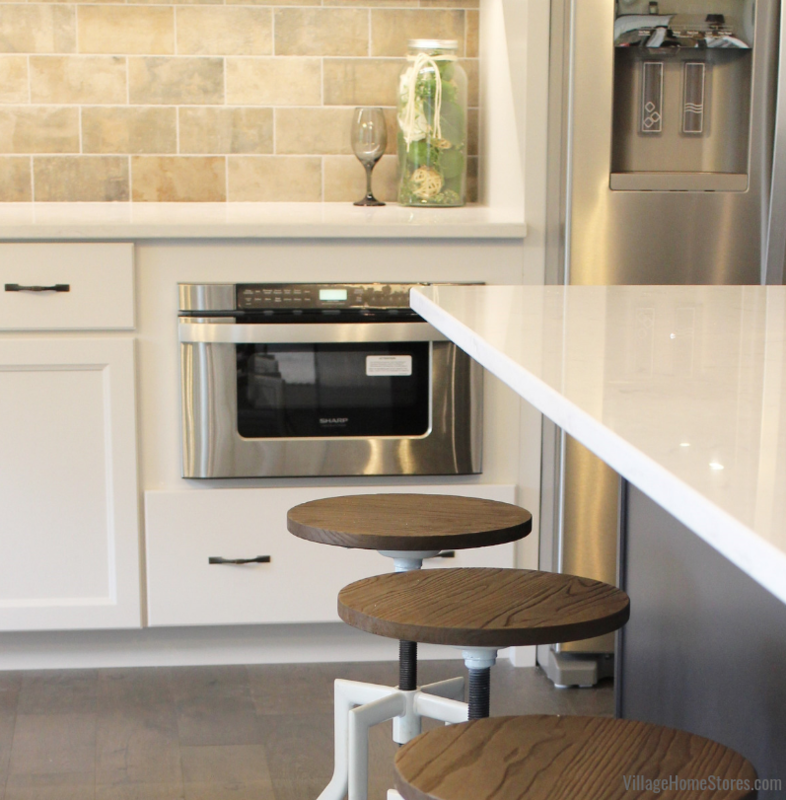 Many kitchen designs that include this style locate the microwave near the coffee station and/or away from the main cooking zone to allow multiple users to be comfortable in the kitchen at once. Sharp over the counter microwave installed in a Quad Cites Area kitchen. Wait, Didn’t You Say Pizza Oven Earlier? You bet we did! We had to take some time to mention another category of cooking product available from Sharp: countertop toaster-ovens! 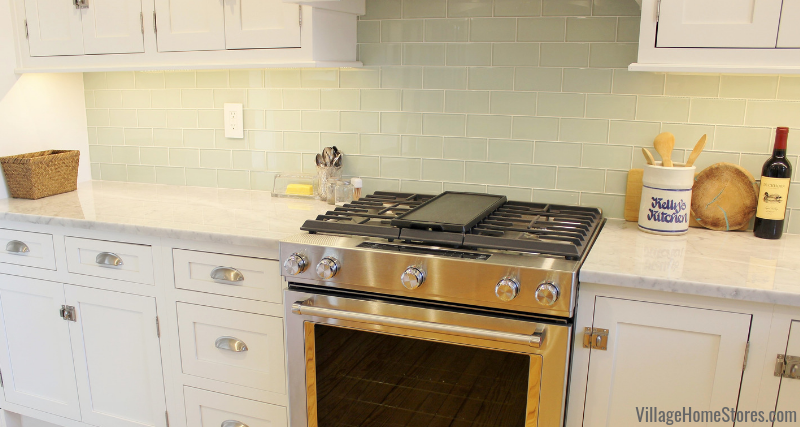 We sing the praise of these kitchen appliances anytime we begin a kitchen remodel and suggest our clients to create a temporary kitchen setup. 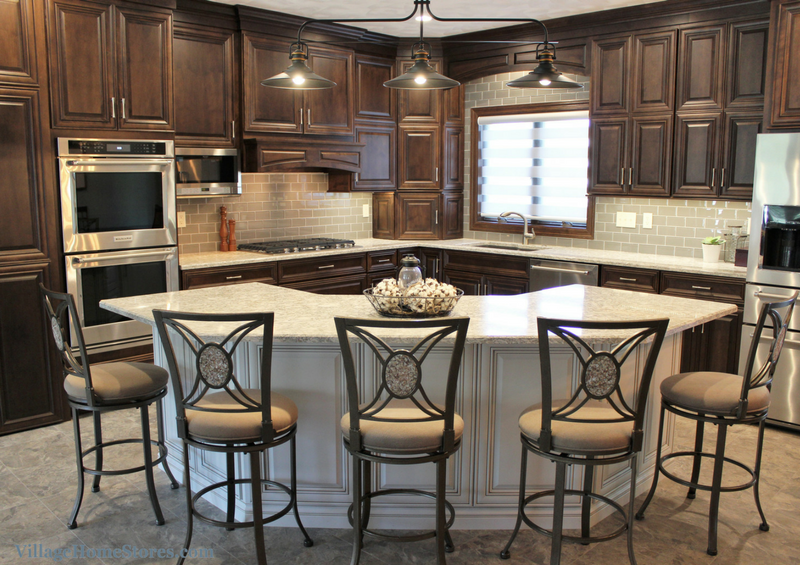 Learn about creating a temporary kitchen here in a past blog post. This Healfio Superheated Steam Oven is absolutely “super” indeed! 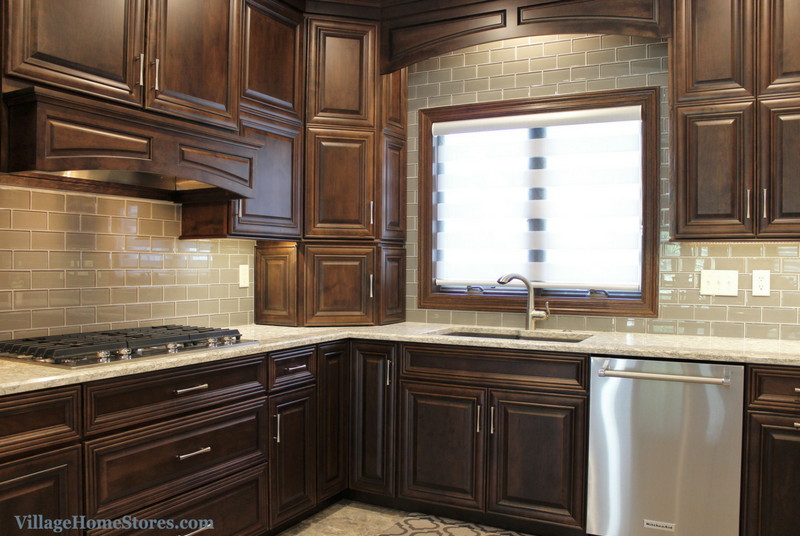 Looking for a versatile secondary oven option for your kitchen or home bar area? This is it! 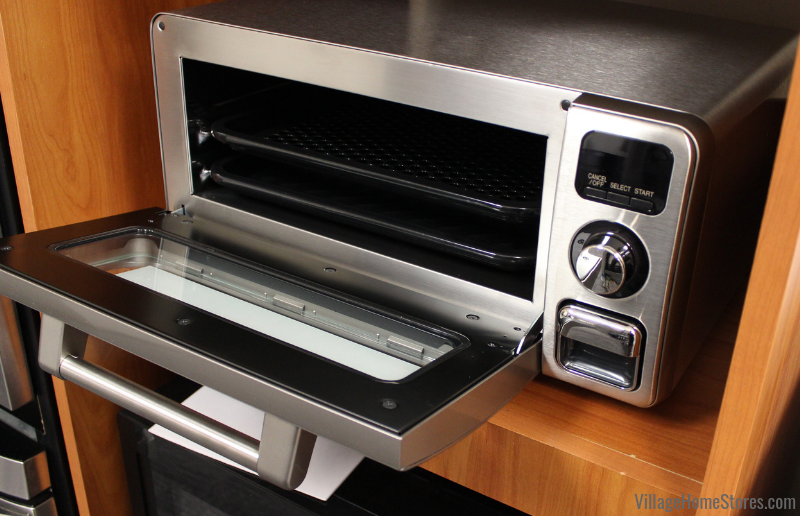 The Healfio Superheated Steam Oven that can fit a 12″ pizza in it! There is NO pre-heating and the broiling and crisper pans shown above are included. A small, removable water container is where you can fill in water and add steam during your cooking process (see below). 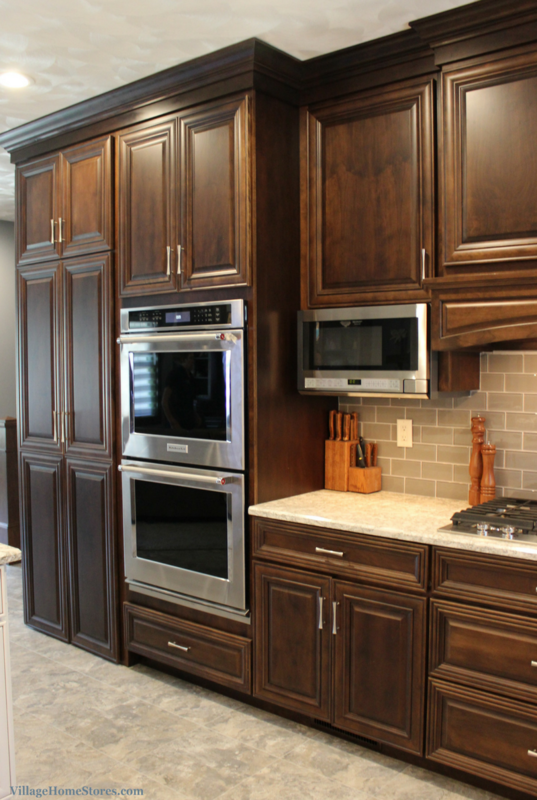 Of course the best way to learn which appliances and features best suit your lifestyle is to visit our showroom. Our expert sales staff with work with you and your budget to pair the perfect appliances to your needs. Village Home Stores is located at 105 S State Street in Downtown Geneseo, IL. 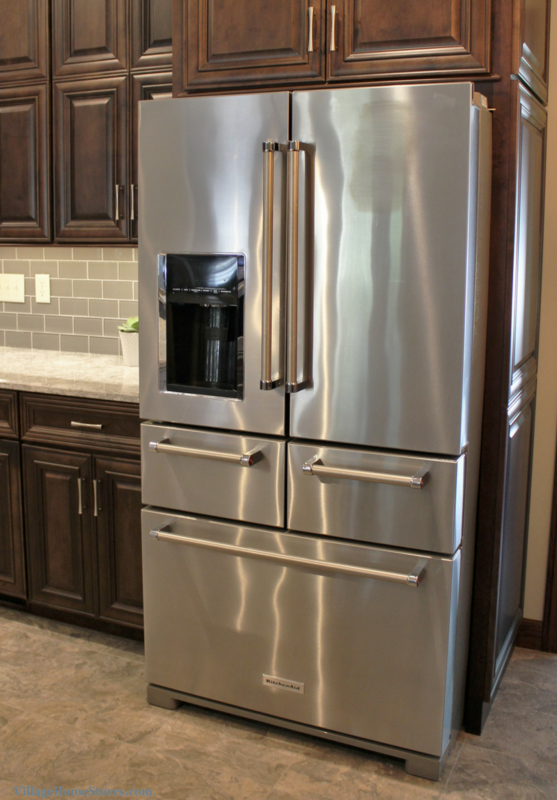 We offer a variety of appliance brands including Sharp, Whirlpool, KitchenAid, Maytag, Viking, Amana, and more! Sharp Appliances including drawer microwaves and steam ovens. Available at Village Home Stores. 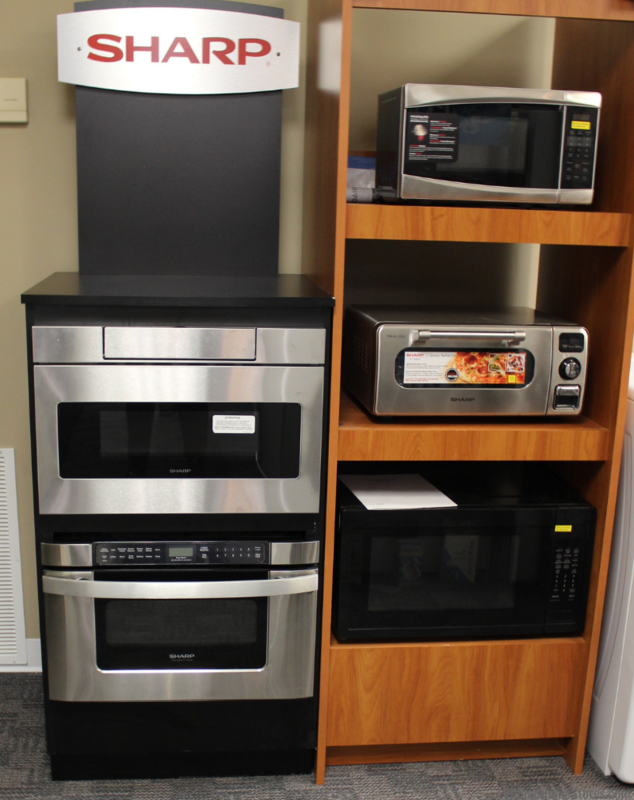 We have many Sharp appliances on display in our showroom. We even have examples of over the counter and drawer microwaves installed into full kitchen displays. Come see and try them for yourself! 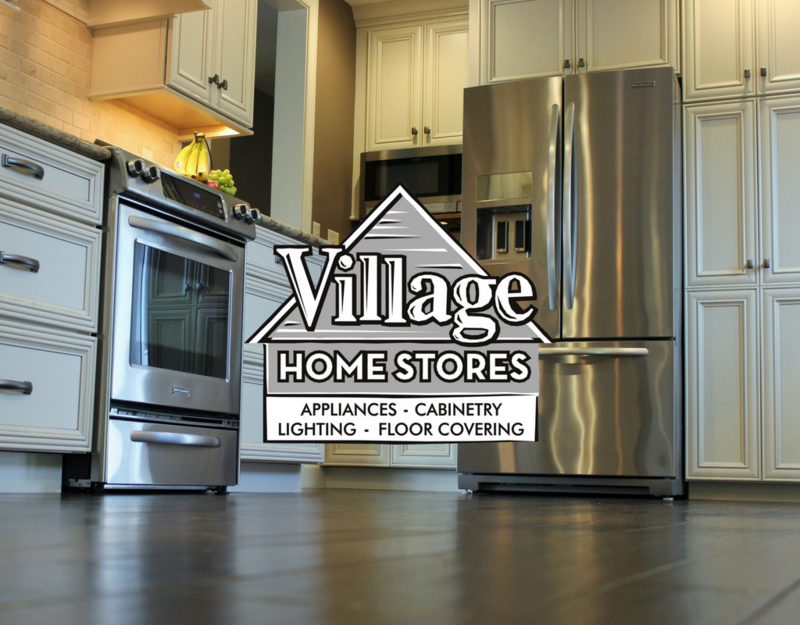 Of course you can shop appliances online, anytime on our new website villagehomestores.com . 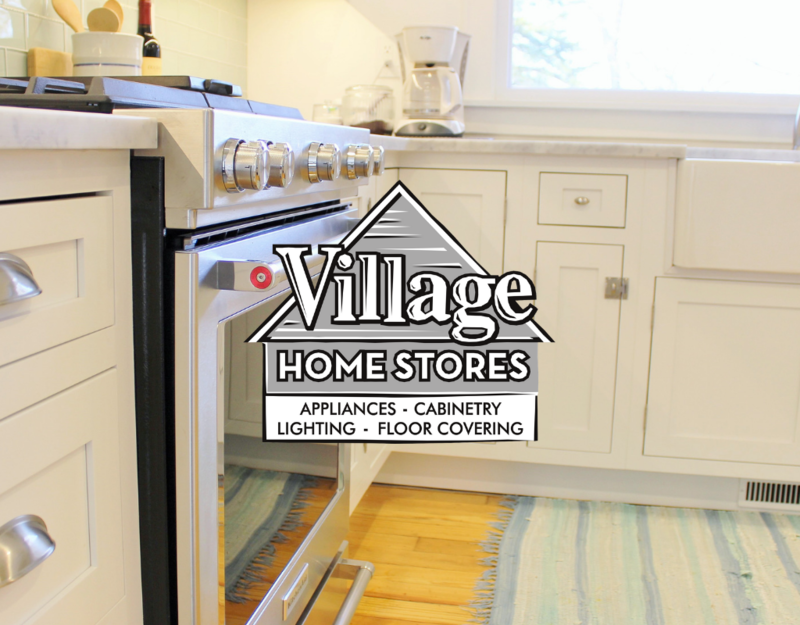 Don’t forget that Village offers a Local Low Price Guarantee and we have the best appliances sales and service staff in the region! 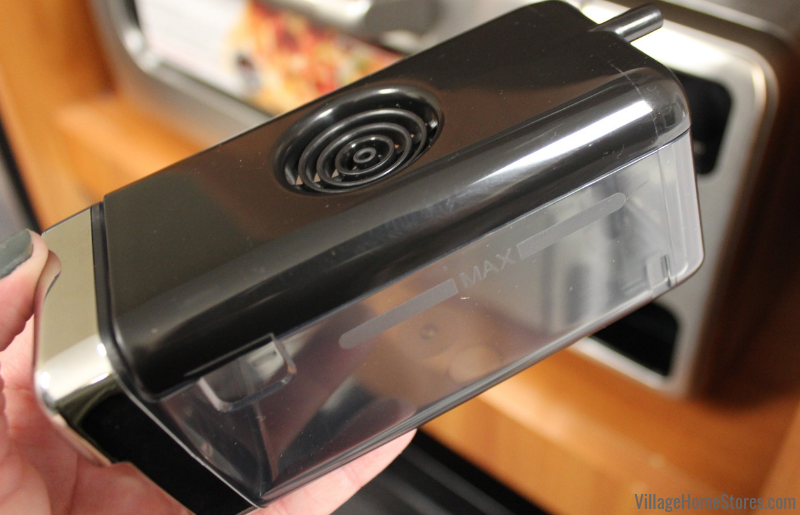 Don’t settle for a bx store experience before and after your appliance purchase. 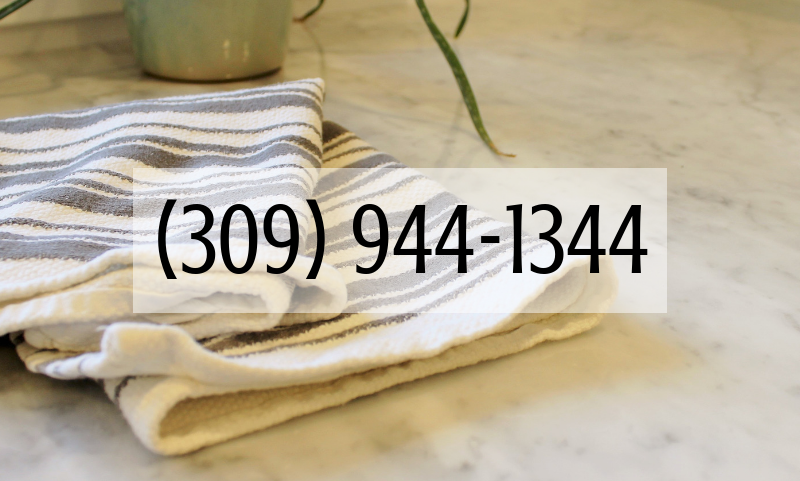 Buy local from us and our team is always just a phone call away. 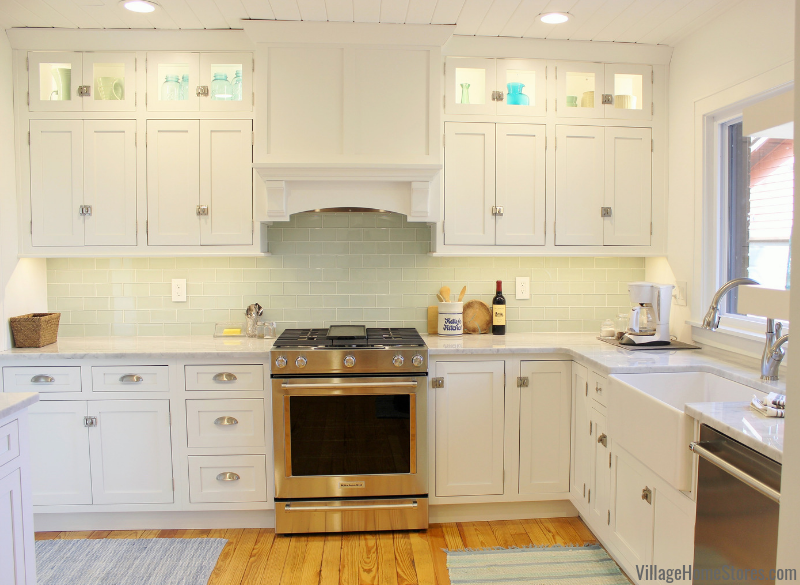 A Full Kitchen Remodel Managed from Start to Finish By Village Home Stores. …and talk about a transformation! 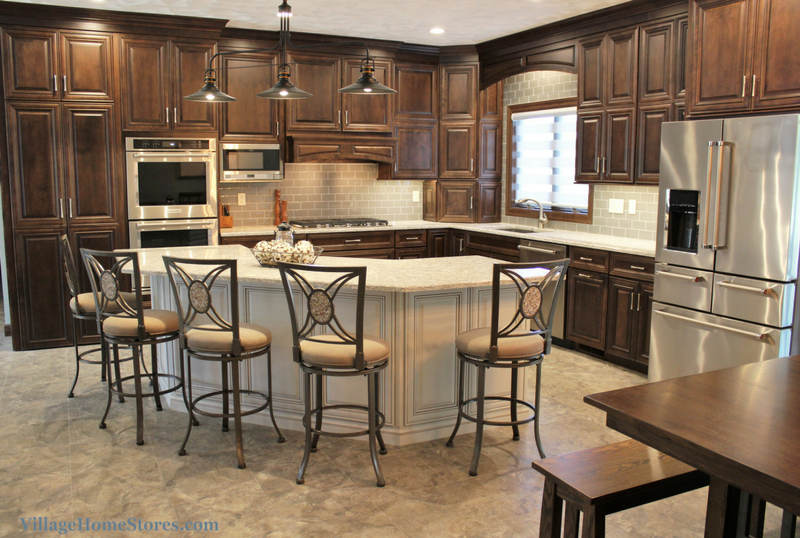 This bigger and brighter new kitchen in Rock Island, IL is gorgeous and seems to have almost doubled in size! 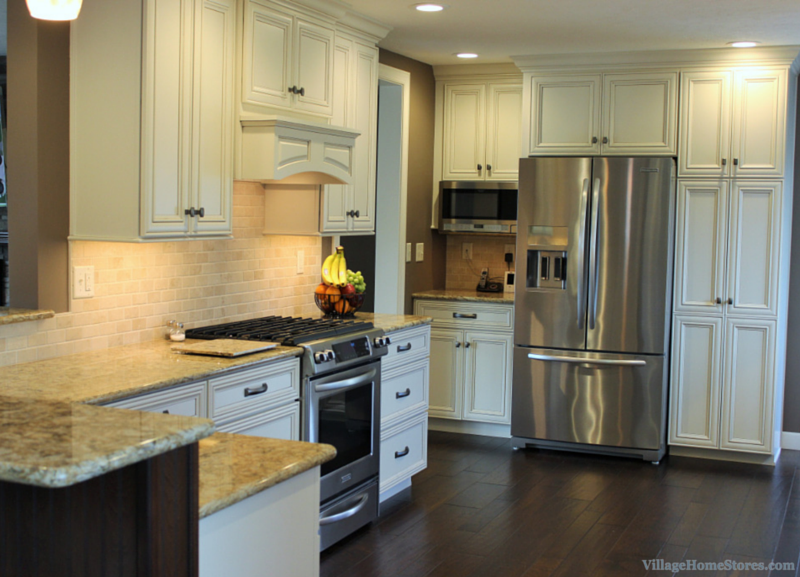 See this full video tour on this episode of the Village Home Show. Just press play below. 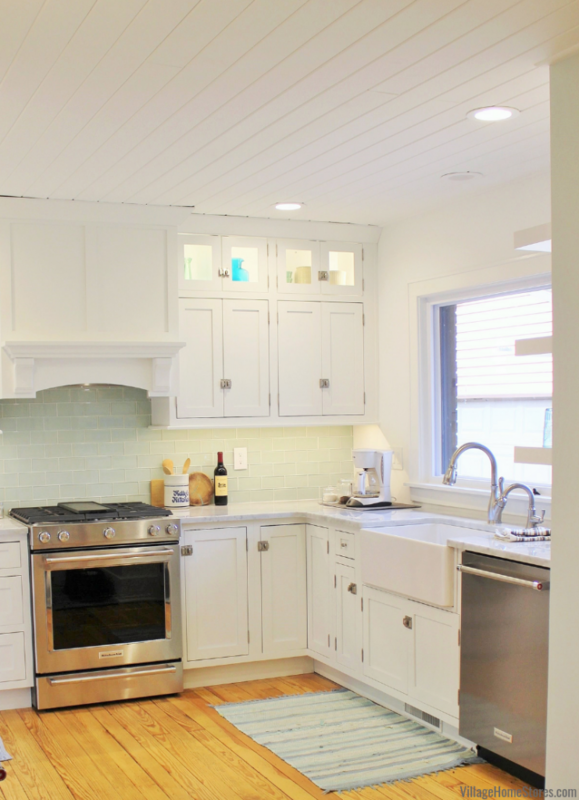 This space has been updated with a design that is timeless and sophisticated. 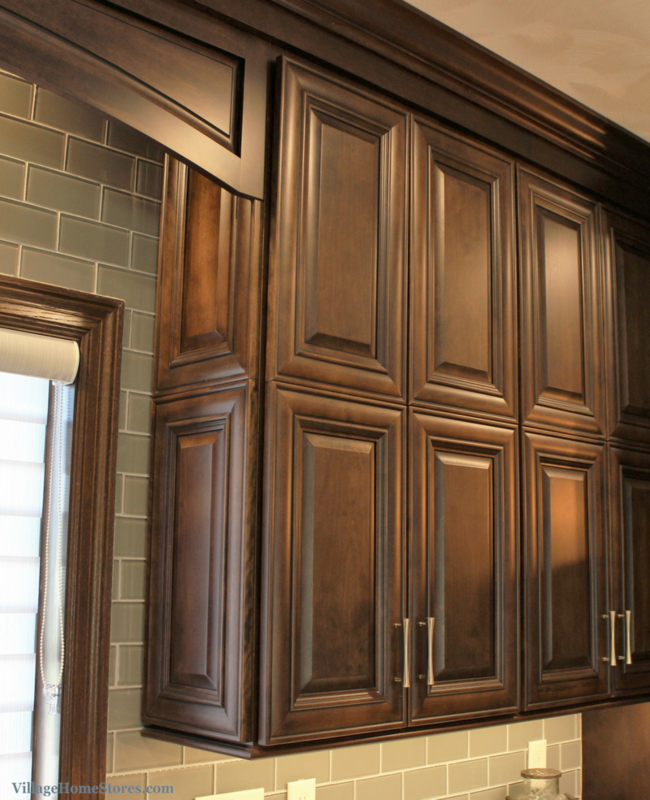 “Pearl” painted cabinetry with an “Umber” glaze from our Koch Classic line is paired with Cambria quartz in the “Buckingham” design. 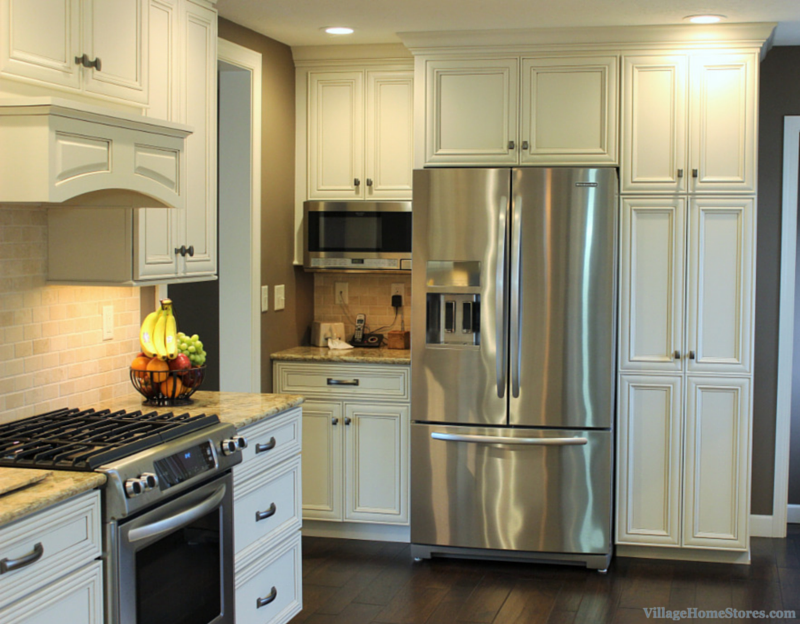 Stainless steel appliances by KitchenAid are built-in for a customized look. 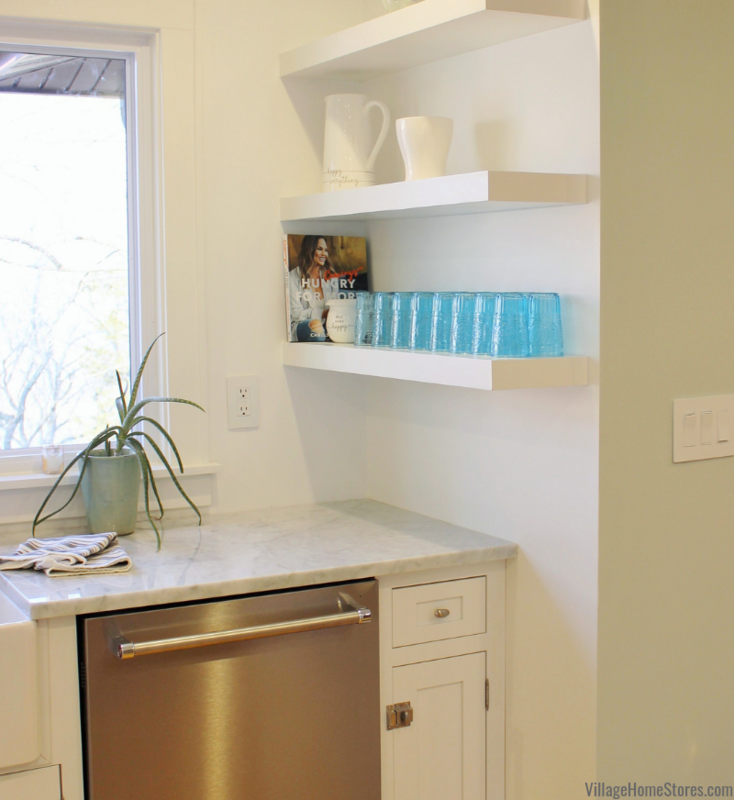 In place of a countertop or microwave hood, an over-the-counter microwave by Sharp is installed above the drop zone at the entry of the kitchen. 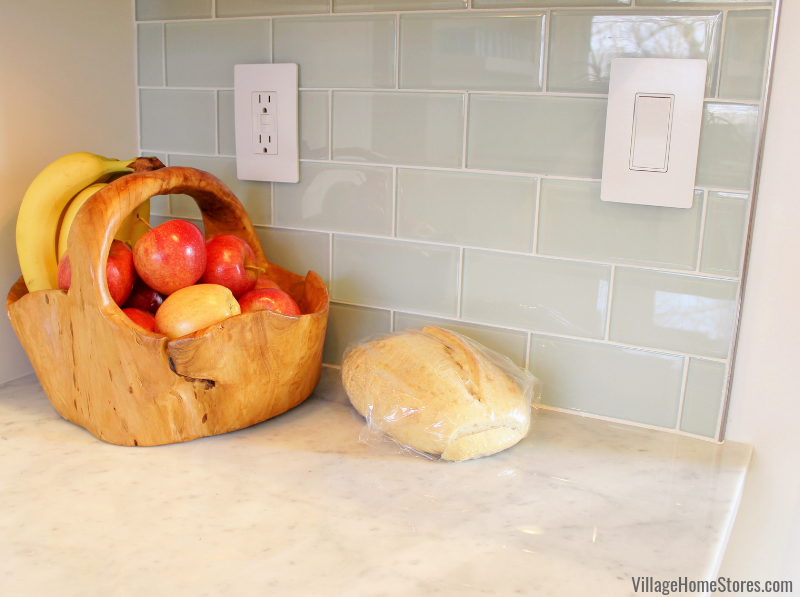 This over-the-counter style is a wonderful option when a built-in look is desired. The entire kitchen is finished in the painted “Pearl” color but the new eat-in area now within the front room is paneled in a”Mocha” stain. 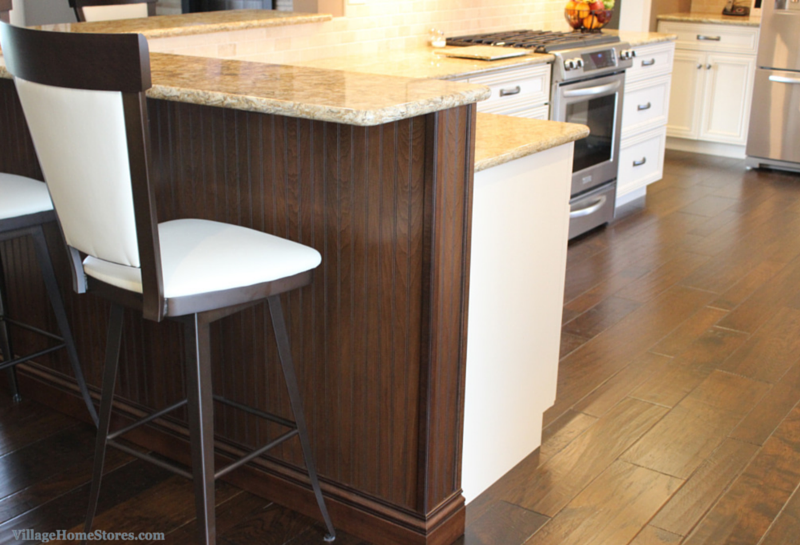 There is a certain richness and sophistication with this contrast and the bar stools are the perfect choice to balance the light and dark colors together. You can see in this new design how adding the new hutch area creates an extension of the new kitchen on that back wall and helps the entire kitchen footprint seem much larger. 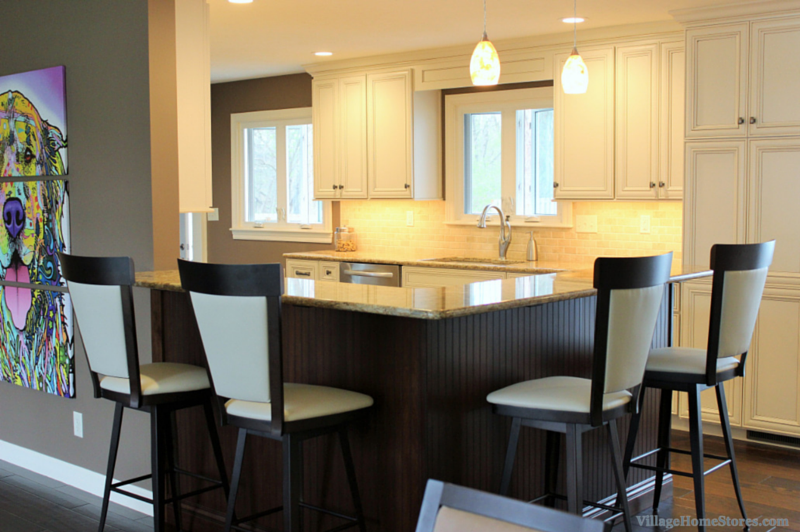 These homeowners in Rock Island, IL chose to work with Village Home Stores because they wanted to open up the existing space and create one large finished space. They also were wanting someone that could schedule and manage the entire process for them. This type of project is exactly why we offer our Project Management services to our customers. 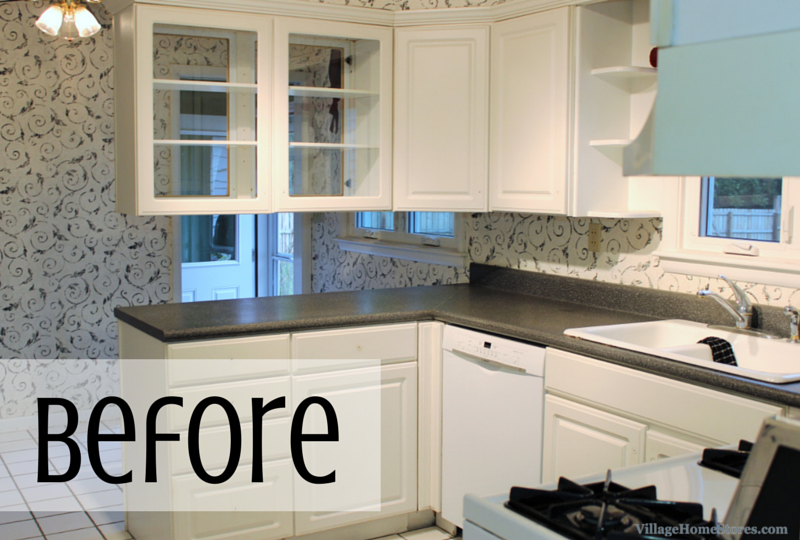 Remodeling a kitchen or bathroom is not something that you do every year. In many cases it is something you may only do once in a lifetime. At Village Home Stores this is what we do every day. 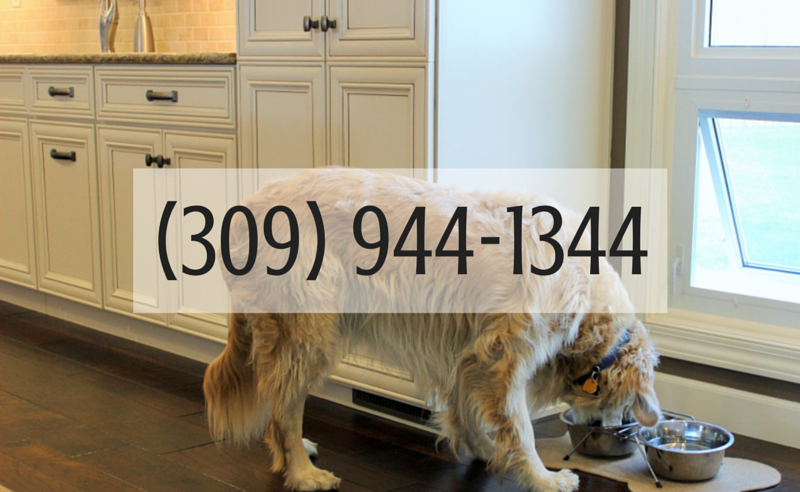 We can help you as little or as much as you would like. If you just need a design and materials for your project we are here for you and if you want someone to take care of it all from start to finish we are here as well. See the entire album of the before, during and after photos over on our Facebook page here. In the case of this Rock Island remodel there were multiple crews needed to achieve the end result these homeowners were wanting. We managed everything from start to finish. This includes coordinating a “meeting of the minds” so to speak at your home early in the estimating process. Our project manager can then get accurate estimates and schedule a timeline for your project based on a realistic and efficient use of everyone’s time. 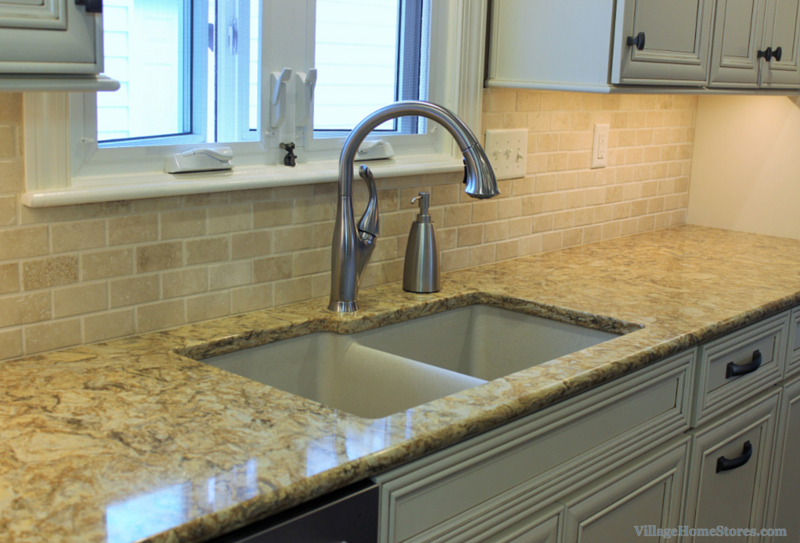 The new kitchen sink and countertop pairs perfectly with the warm Travertine tile backsplash. 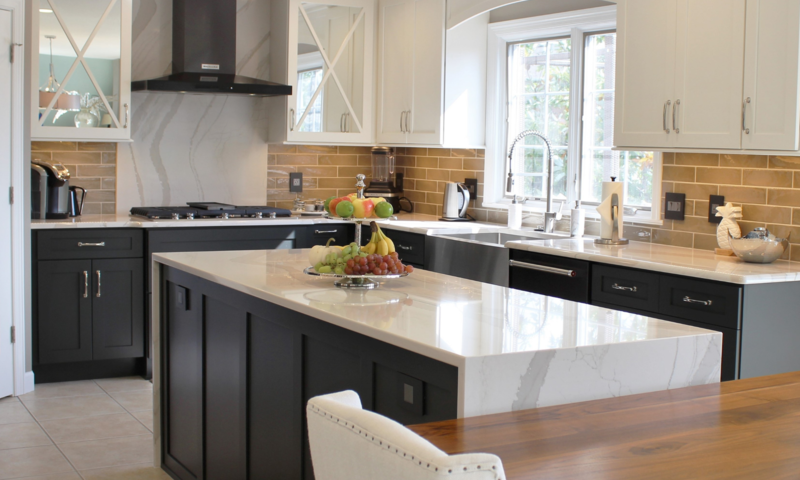 Every permanent element to this new kitchen design remains neutral but the entire new overall space is playful and exciting. We love the bold artwork that faces the new front room. 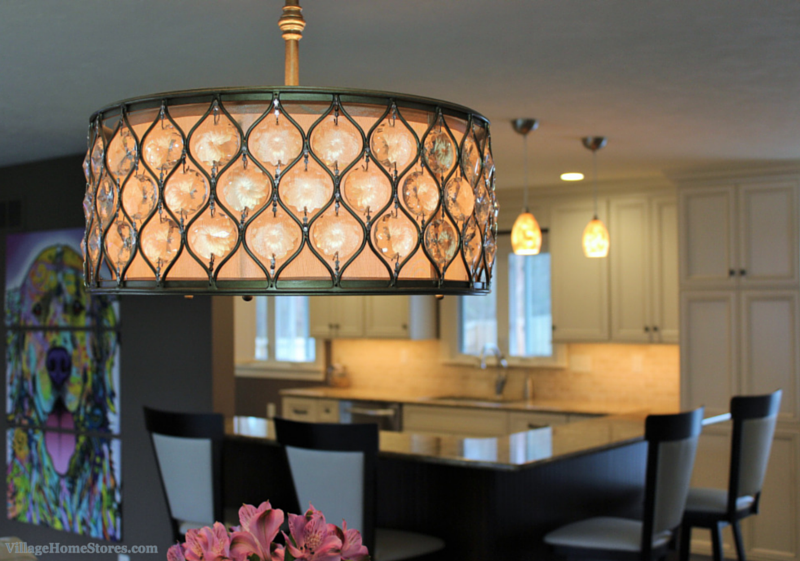 Plus the new dining room light fixture is a statement in itself. This sparkling “Lucia” fixture from Feiss is stunning in person. It looks gorgeous when off and breathtaking when lit. Our lighting team can help you create the perfect lighting plan for your entire space. 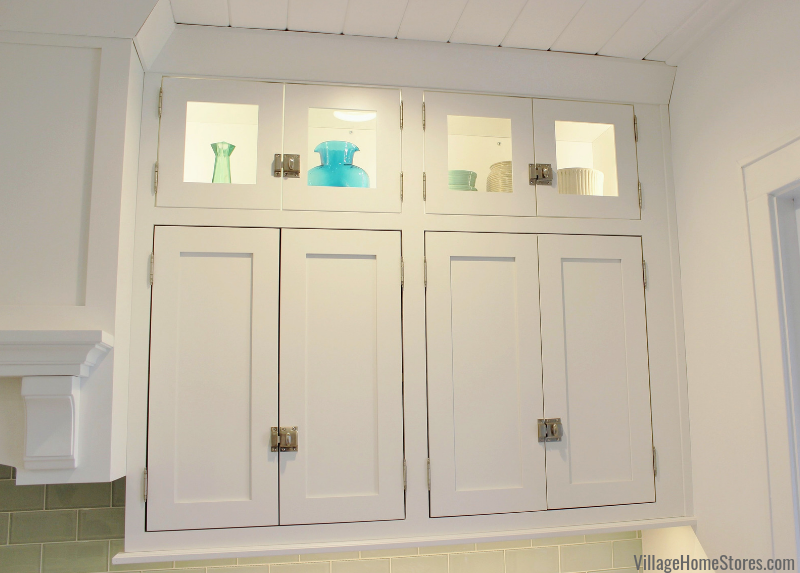 We have thousands of fixtures to select from and they will help you find just the right one. You can notice when you look beyond this light that the old soffits were also removed when the wall was opened up. 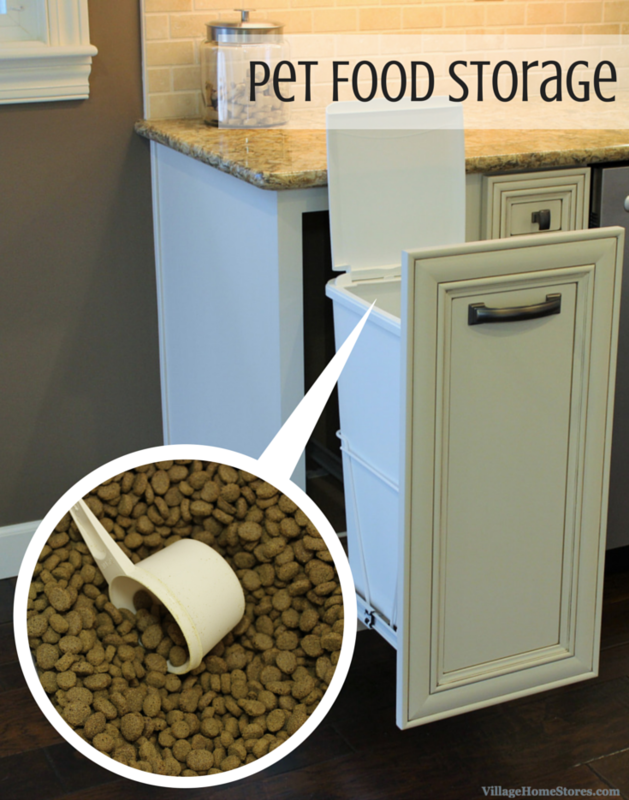 This pull-out cabinet includes a covered insert for pet food storage. Now dog food can be stored within reach but out of sight. 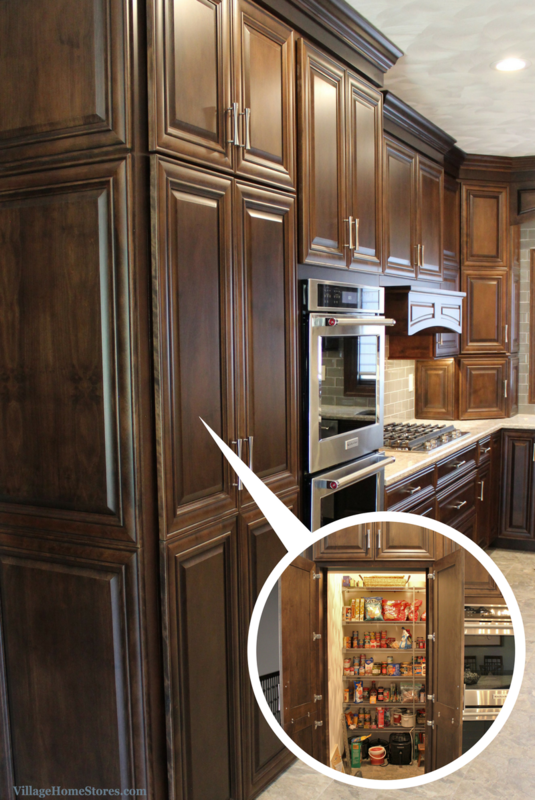 When we made a little video clip of this cabinet in action “Tucker” was very interested in his food cabinet opening up. Watch it here and keep a close eye on his ears perking up. 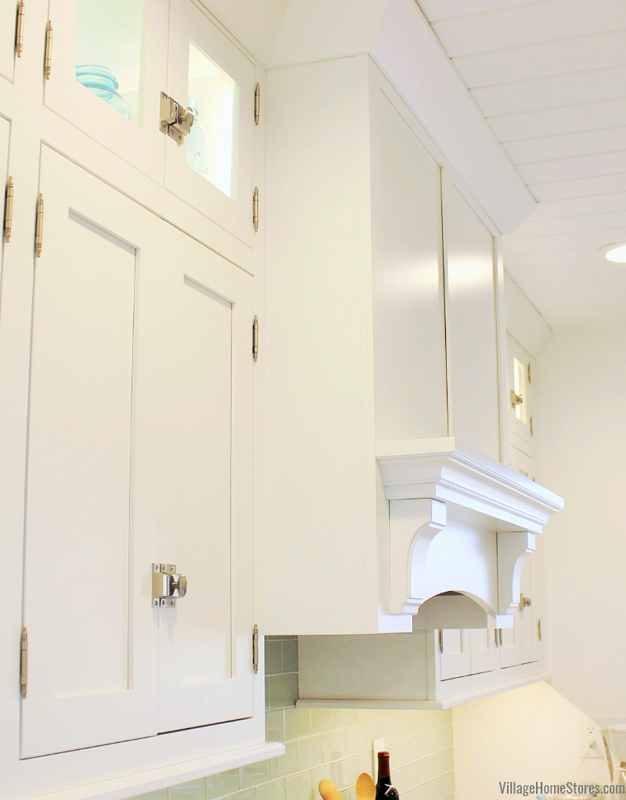 With the new cabinetry extending all the way to the ceiling there was not an opportunity to stagger the heights of the decorative wood hood in the new design. 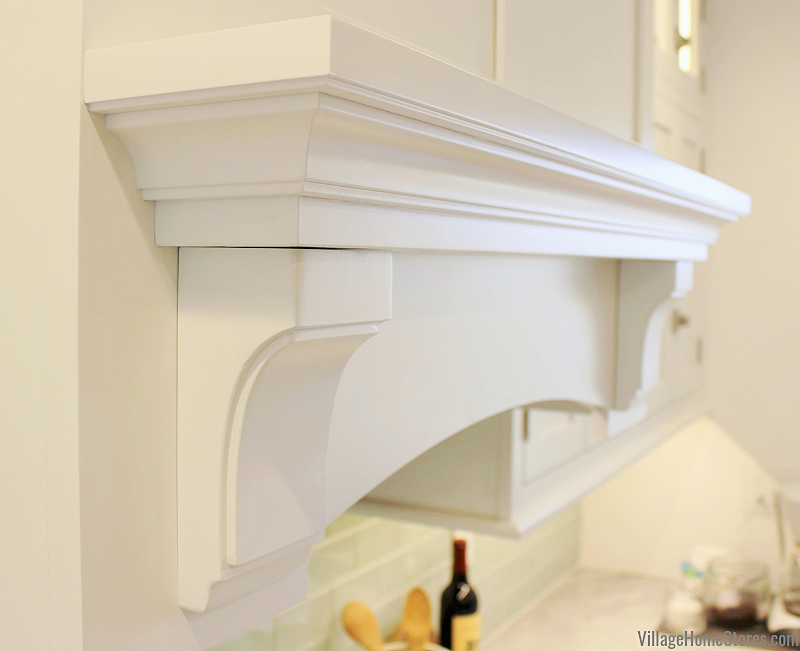 Instead a slight change in depth and an arched panel shelf above the cooktop create interest and allow space within it for a Broan hood insert. There was also an area down the hallway that was included in this new look. 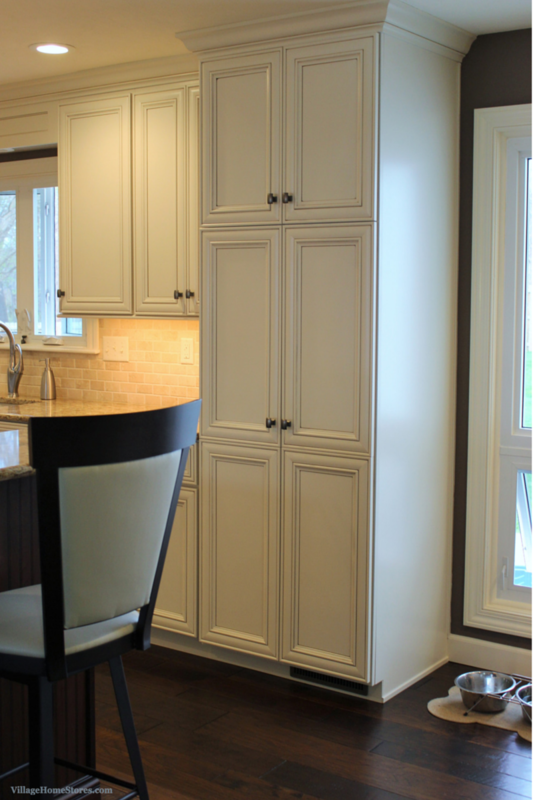 This built-in linen cabinet was removed and replaced with matching cabinetry to the kitchen within sight of the hallway. 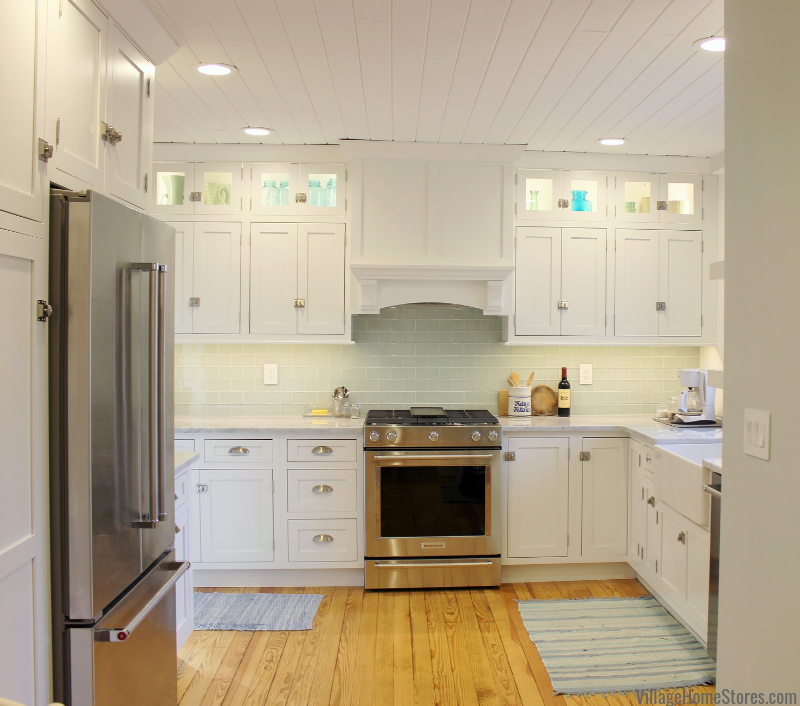 We love how this project turned out and it was amazing how much of a difference it made right away to remove that section of wall and open up the new kitchen into the front room. This big bright room is now the place to be at it is so easy to picture it full of guests having a wonderful time. 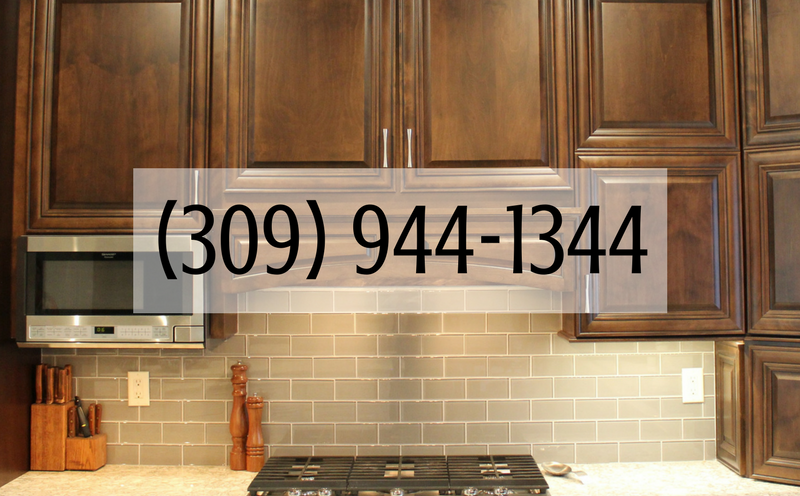 If you are ready to start the conversation about your own remodel project give us a call or click here to make an appointment. 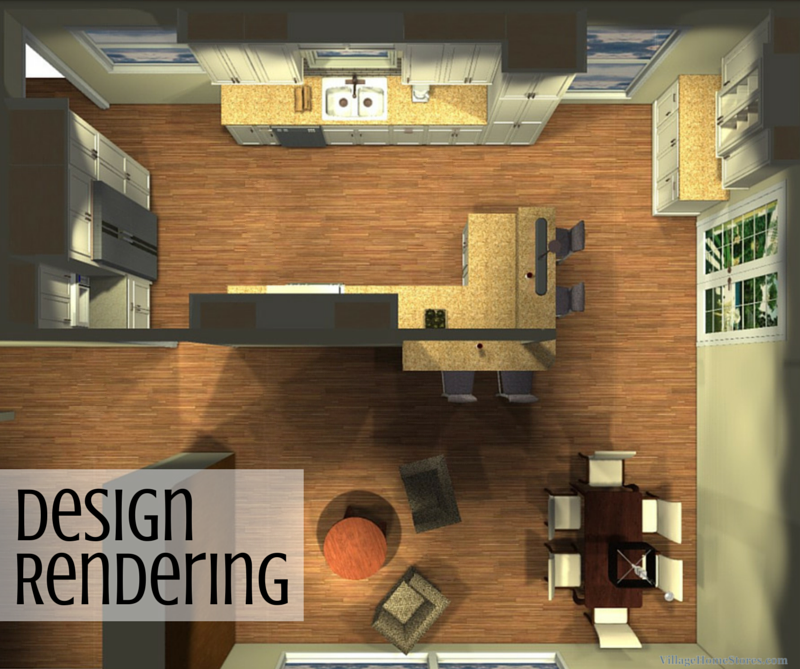 Transforming spaces is what we love to do and we can’t wait to help you get your own dream kitchen.